Star Trek: Into Darkness: How do people decide what to do? Understand the Christian worldview, as it relates to making moral decisions. Reflect upon the case for sometimes breaking the rules. 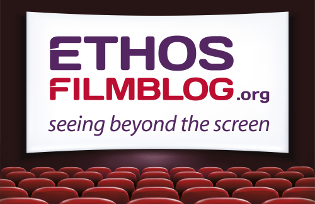 Analyse a film clip, identifying different approaches to the making of a particular decision. Synthesise learning by writing a further scene from the film, where a variety of characters seek to justify their actions with reference to different worldviews. Explain that in this lesson you will be thinking about the different values that shape the way different people make moral decisions, either accepting or rejecting established rules. In particular, you are going to think about how Christians approach the subject of making moral decisions. Introduce the clip from Star Trek: Into Darkness (Paramount, certificate 12). Click here to buy the film online. Explain to students that the clip comes from the beginning of the film. Captain Kirk (Chris Pine) and his crew are on a mission observing a primitive race and their planet. Their standing orders – the Prime Directive – prohibit them from interfering with the development of other societies, and yet things are not as straightforward as that might suggest. As he so often does, Kirk has a very loose attitude towards obeying orders and keeping to the rules. Ask the students to pay particular attention to the discussion of various difficult decisions that take place during the clip. The clip starts at the beginning of the film, with the caption, ‘Class M planet Nibiru’. It ends after Kirk says, ‘Ah. C’mon, Spock, they saw us – big deal,’ and the scene shifts to the people of Nibiru drawing a picture of the Enterprise in the ground. Ask the students why there were arguments about whether or not to rescue Mr Spock (Zachary Quinto). Remind them of Spock’s statement that ‘the needs of the many outweigh the needs of the few’. Do students agree or disagree with this principle? What other ways of approaching the situation were shown by others in the clip, particularly by Captain Kirk. Ask the students which of these worldviews seem to be represented in the clip. Spock is the easiest to match up, with ‘the needs of the many outweigh the needs of the few’ working as an alternative summary of Utilitarianism. Kirk is harder to place, but Emotivism seems the best fit for his instinct-led disregard for keeping the rules. Explain that Christianity is one example of Theism (although it is worth pointing out that not all theists are Christians). Ask the students how they think a Christian would go about discovering what God wants them to do in any given situation. Draw out that two main sources of authority for many Christians are the Bible and the example and teaching of Jesus. In the film, Kirk’s actions cost him his position as Captain of the USS Enterprise. Ask the students to write an imagined scene from the film where Kirk, Spock and any other characters from the film that the student wishes to include are called upon to explain their actions. The discussion should include reference to some or all of the approaches summarised on the What Should I Do? worksheet, and should include reference to a Christian approach to making moral decisions. A copy of Star Trek: Into Darkness and the means to play it.